Cloud computing is one of the most important innovations of the digital age. It allows companies to easily outsource computing resources, giving them the ability to scale quickly with little initial investment or risk. Cloud computing is able to offer worldwide access to centralised software, provide a platform on which to develop custom applications, act as a substitute for internal IT infrastructure and has uses that are nearly limitless. 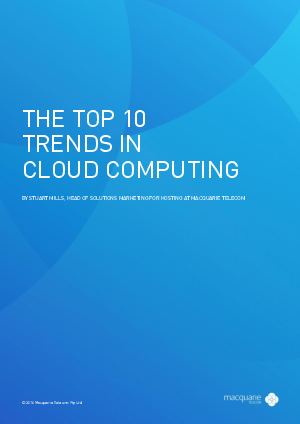 Download now to learn how to use the advancements in cloud technology to gain a competitive advantage in the marketplace.